You may need more than just a housekeeper in Long Island to clean your business or commercial property. This is why so many owners of these properties turn to the services of Servco Industries. 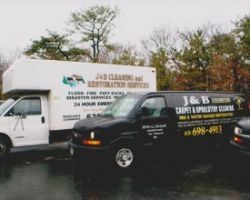 The Long Island cleaning services offered by this company are focused on cleaning offices, businesses and more. Whether you would like regular janitorial work or are looking for deeper window cleaning and floor care, the technicians that work for this company can do it all. Reviews rave about their skills and versatility. United Commercial Cleaning takes care of all of the regular cleaning that needs to be done as well as the deeper jobs that need to be carried out occasionally throughout the year. 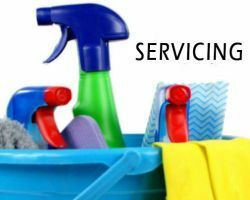 As a commercial cleaning service and an office cleaning service, this company offers general services, which includes mopping the floors, wiping the surfaces and emptying garbage as well as carpet cleaning, window cleaning and moving cleaning services too. When you hire a highly experienced member of this company you will always receive the most reliable service on a daily, weekly or monthly basis. Hiring House Cleaning By Ula means working with a maid service in Long Island, NY that you can trust. First, each maid has gone through an extensive background check and has also been trained by the most experienced members of the team. This company has been serving the local area since 1993. From the time the company was established to now, they have always maintained the highest standards of work and the most professional cleaning technicians to implement their service. J&B Cleaning Service is more than just a local house cleaning service; this company is focused on fire, smoke and soot damage restoration. If your home has been damaged by natural elements then the experts at this company are the most qualified to tackle the resulting cleaning job. 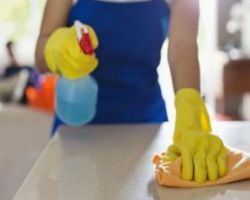 The best thing about working with this company is that they keep their work affordable by offering relatively cheap prices considering the extensiveness of the cleaning that will need to be done. NY Brite is a company that serves the cleaning needs of all New York home and business owners. When you are looking for house cleaning specifically, the work that these technicians do is always thorough and always makes the space fresher and more enjoyable. Even before working with this company you will be treated like a valued client. 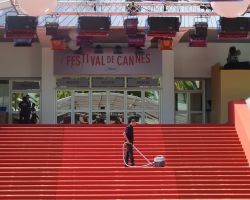 This company offers estimates for their cleaning work based on the number of rooms, the number of bathrooms and how frequently you would like the space cleaned.